Sunday 25th May, 2pm at the lake in Sydenham Wells Park. The Forest Hill Society has organised a guided walk from the park to One Tree Hill. It should take about 2 hours and be suitable for most types of buggy, even though there is an off road element through Sydenham Woods. If you are planning on driving to Sydenham Wells Park, you can return on the 363 bus which goes from Forest Hill Road up Sydenham Hill. The idea is to celebrate the plan to extend the popular Green Chain walk linking South East London’s open spaces to SE23. The more green corridors we can keep open in our urban environments, the more pleasant it is for us all to enjoy walking. At the moment, the Green Chain covers 16.5 miles of green walks from Crystal Palace to three points on the River Thames. The plan is to create a spur which heads out from Crystal Palace to Sydenham Wells Park, through the woods, across the Horniman Gardens, to One Tree Hill and then on to Nunhead cemetery. We've just found out from the vicar of St Augustine's on One Tree Hill that there will be refreshments available at the church on the afternoon of our Green Chain Walk. There is a concert at the church which starts at 3pm so, if we up the pace, we might get to enjoy some music as well! 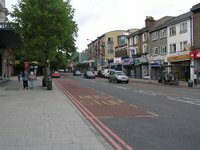 And don't forgot next Sunday, 25th May, is the Forest Hill Society Green Chain Walk. More details in the previous posting. Thank you for passing on this information [passenger counts at Forest Hill station]. What I do not see included (and what I do not believe was measured) was the flow of people onto or off the station from the Perry Vale entrance on the Southbound platform and Forest Hill. During peak hours this can be a significant number of people as I believe you have accepted (particularly in the evening peak). At a recent General Meeting of the Forest Hill Society we listened to views of local people who make use of Forest Hill station and, while they were pleased that the gates would continue to be open after 3pm, there was an overwhelming feeling that shutting the Perry Vale entrance before 3pm was not in the interests of passengers. For many passengers heading south, towards Croydon and Victoria before 3pm this will mean they will need to use four sets of stairs to access platform 2, at a time when we are meant to be seeing improvements in accessibility. This retrograde step goes against accessibility improvements that are more widely planned on the railway. There was also significant concern regarding the placement of two ticket inspectors on the southbound platform, as this will further slow down customers wishing the enter and exit the station between 3pm and 8pm. There were fears that such a large number of people queuing to get through the gate, whilst others are trying to move past them to access the footbridge, will lead to safety issues on a daily basis. Forest Hill is a very busy station with over half of people in the evenings using the Perry Vale exit and this will lead to congestion, and pushing, especially with new shelters for the ticket inspectors further restricting the flow of people. No safety assessment has taken place on this side of the station regarding the changes you plan to make, unlike the installation of the ticket barriers on in the ticket office which have been carefully subjected to the necessary tests. We know that when the East London Line comes to Forest Hill in 2010 there will be Oyster barriers / posts at all entrances and exits to the station. If Southern Railways are not willing to implement a proper barrier or post at the Perry Vale entrance, then we believe no changes should be made until such time as TfL make plans for proper access to the station, with the gate on Perry Vale remaining open at all times until such plans are implemented. There is no reason to make life a misery for passengers in 2008 and 2009 prior to a better implementation in 2010. I would like to thank you for the information provided in other communication that indicated that, as I requested, the Perry Vale exit will remain open and unmanned after 8pm (when the barriers at the ticket office will also remain open and unmanned). But in speaking to other local residents it is clear that there is strong feeling that this gate must remain open at all times throughout the day, whether manned or unmanned. This entrance provides import access to the station with only a single set of stairs to the southbound platform. I hope you will also consider the health and safety implications of two ticket inspectors checking the tickets of over half the passengers at one of the busiest stations on your network, at a point in the middle of the station platform. Until a new exit can be built to the Perry Vale Car Park, the best solution for the accessibility and safety of passengers at Forest Hill is to leave the gate open on the southbound platform, as it is at present. Copied to Jim Dowd MP, Len Duvall MLA, London Travelwatch and local councillors. 10th May was a guided tour of Garthorne Road Nature Reserve. Below are a few photos from the area that is not normally open to the public. Bitter Vetchling. 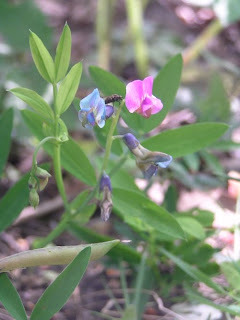 A plant in the pea family which is rare in London. This is possibly the only site where they are found in Inner London. 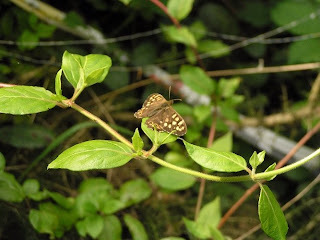 A butterfly spotted beside the meadow. 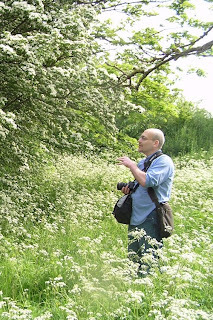 Dave Smith, our guide for the morning, emerging from a field of Cow Parsley. 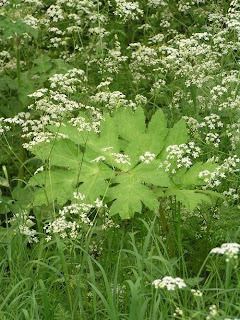 Giant Hogweed. A phototoxic plant found in small numbers in parts of the nature reserve. Contact with this plant can cause server itching in sunlight. This is the presentation by Steve Gough and Aileen Buckton from last nights general meeting. The Forest Hill Society will be having a General Meeting on Wednesday 7th May at 7:30pm (doors open 7pm) at Forest Hill School on Dacres Road. This will be a chance to discuss issues that you feel are important for the Forest Hill Society to address in the local area. 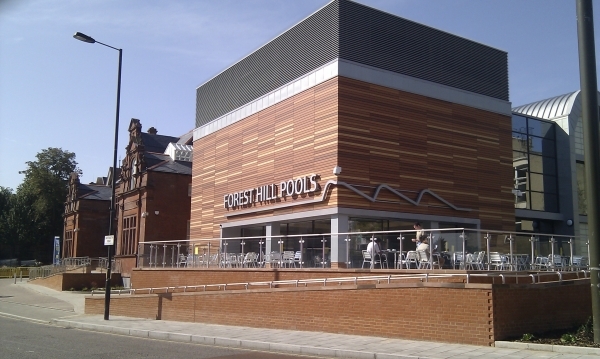 We will have two guest speakers from Lewisham Council; Aileen Buckton, Executive Director for Community Services, and Steve Gough, Director of Programme Management and Property, who will be giving us the latest information on the rebuilding of Forest Hill Pools, one of the most important issues for the development of our town centre. Members and non-members are welcome.